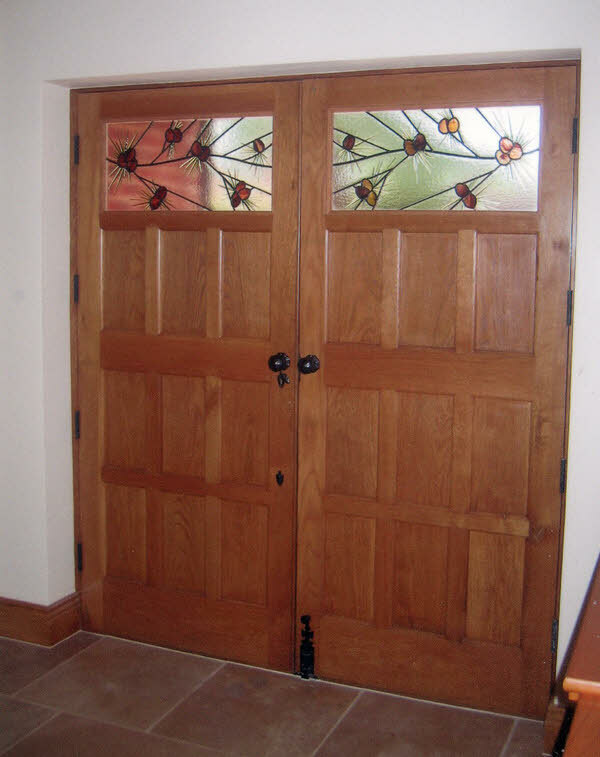 These two transom panels were such fun to make! My customers live in a street which is graced with huge pine trees and they wanted to echo this feature in their new front door panels. 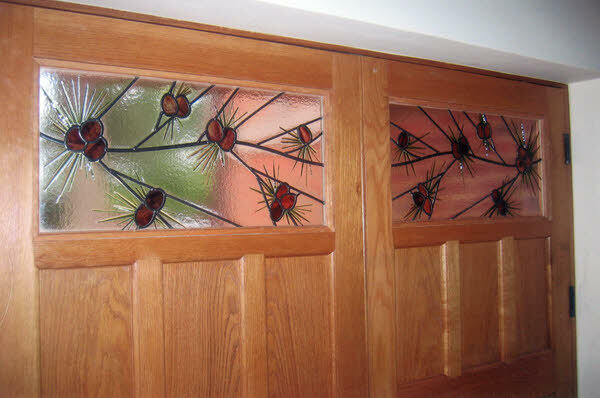 Fussy hand painted stained glass was out as was simple leaded light. I sat and sketched, and sat and sketched and thought and sketched and finally came up with this solution! Leaded and fused. The pine cones are cut in streaky brown glass which has bags of character and then I have tack fused (fusing at a lower temperature to keep structure and form) the needles onto the background glass. The result is a fresh sparkling pair of windows and I’m happy to say that my clients are very happy!